At least 99 participants from 104 hospitals under PhilHealth XII attended the Project Reach Out Forum held on June 22, 2016 at Villa Amor Hotel in the City of Koronadal, South Cotabato. Project Reach Out Stakeholder's Forum is held quarterly to provide updates for accredited health care providers in the Region. 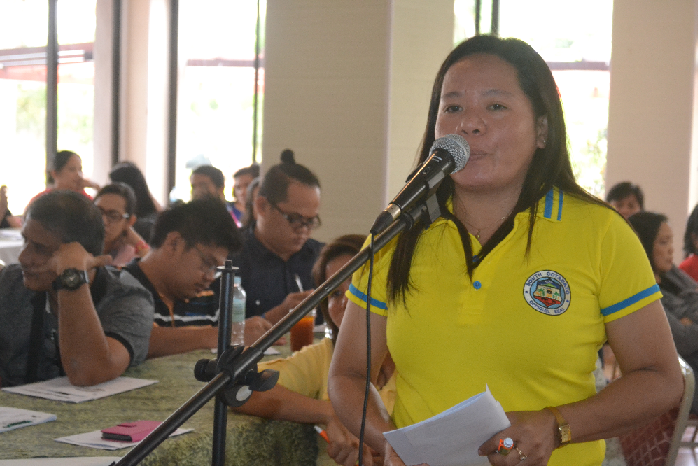 South Cotabato Provincial Hospital representative, Miss Rona E. Chatto clarified issues on possible fake membership and dependents declared by the patients during admissions in their facility. “This is the second meeting we have for the year and we are looking forward to another fruitful and productive day with you,” Project Reach Out Team Leader, Dr. Antoniette M. Ladio said. This forum according to PhilHealth XII Field Operations Division Chief, Engr. Eugenio Donatos is on a credit side because it deals with policies in terms of paying hospitals contrary to the marketing forum activities which deal with the debit side. “I do understand that each one of you as our partner in implementing the National Health Insurance Program have your unique number and have your own story. Our members have also their unique numbers and they too have their stories. Ours … is a promise to make that story fulfilling and promising for them. I hope you too, would share the same story by delivering our promises that is fulfilling for them. Thank you..." Donatos said. Special Investigator II Sharon Bona from the Legal Services Office pointed this out when one of the clients asked on how to deal with patients telling a lie about their identity, their dependent spouse and dependent children. She said that only those who fabricate or provide false information are liable to any violation against the policy. “Hospitals as partners in implementing the program have their duties in protecting our fund by checking it out if the members they are admitting are legitimate or not,” Donatos added. Per PhilHealth’s Implementing Rules and Regulations, borrowed identity and fake membership is a patent form of fraudulent activity and considered unlawful in the benefit availment process. Hospitals with Philhealth Customer Assistance, Relations and Empowerment Staff or P CARES on the other hand are mandated to provide said personnel with work stations and logistics. “These nurses have their duties and responsibilities that help our members understand their benefits and benefit availment process. We will be deploying them per month on identified hospitals and no longer per quarter. 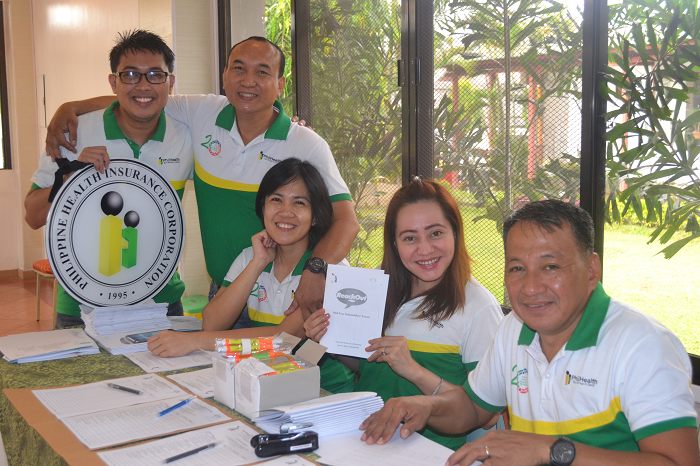 Please accommodate them well,” PhilHealth XII CARES Supervisor Raffy B. Elizares said. As employers, Senior Social Insurance Officer, Joy S. Lizada reminded the participants to adopt the new EPRS or electronic premium remitting system and secure SPA or statement of premium accounts in settling their obligations to PhilHealth effective July this year. In terms of claims disbursement Cashiering Unit Head, Ma. Luna Soriano stressed that PhilHealth strictly impose the “no OR, no check” policy. “Those who are sending representatives please take note that SPA or Special Power of Attorney remains a mandatory requirement. SPA is only valid for one year, unless revoked. Kindly renew it every year to avoid inconvenience in claiming your checks,” she said.